Ferneita Adelle Hahn age 100 a resident of Chateau Girardeau in Cape Girardeau, Missouri; passed away on Thursday, February 4, 2016 at the Southeast Missouri Hospital in Cape Girardeau. She was the oldest daughter of Samuel M. and Bertha Shrum DuLaney. 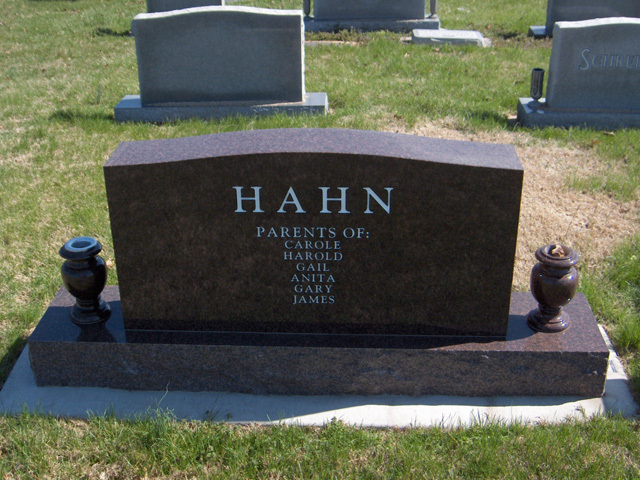 She grew up primarily in the Lutesville area and was married to Willard Rosvell Hahn on September 3, 1938 in Jackson, Missouri and he passed away on April 7, 2004. Previous to her marriage she was a rural school teacher for four years and spent one year as a teacher in the Adult Education program of Bollinger County. She was converted and joined the Methodist Church at the age of 12 years old; at the time her father was the pastor of the church. She was baptized in the Osage River at Shell City. She became a member of the Lutesville and Marble Hill Methodist Churches in 1951. She held many offices in the church: Sunday School, Bible School, United Methodist Women and was a choir member. She and Willard had six children and the entire family were always faithful in attendance at church services. Ferneita loved writing and did a homemaker�s column in the Banner Press for a while. Then when the family was all grown-up she decided to write a book of her early life experiences entitled My Life and Times for the family which was published by David and Lee Stewart in 1996. She was also a great lover of poetry and music. 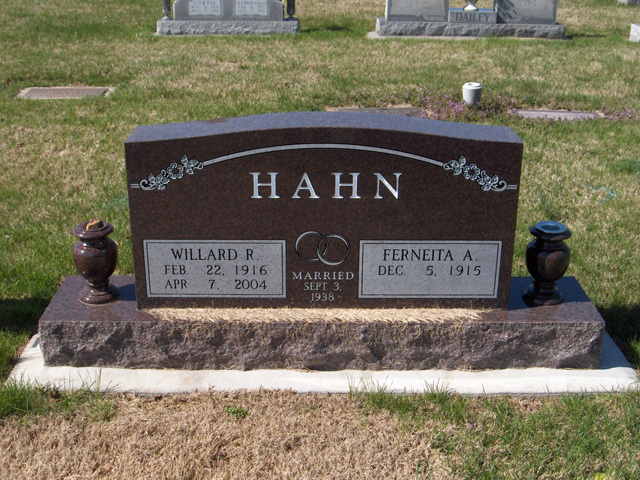 Ferneita and her husband Willard owned and operated the Hahn�s Market for 30 years in Lutesville, Missouri. Survivors include; her sons Harold (Wilda) Hahn of Wentzville, Missouri; Gary (Ruth) Hahn of Hillsboro, Missouri; James (Connie) Hahn of Festus, Missouri; daughters Gail (Roy) Halbert of Cape Girardeau, Missouri; Anita (Joe) Gray of Evansville, Indiana; son-n-law Jerry Stone of Cape Girardeau, Missouri; fourteen grandchildren; twenty-eight great-grandchildren and six great-great-grandchildren. Preceding her in death was her husband, parents, daughter Carol Stone, granddaughter Kimberly Stone and great-grandson Casey Stone. In Lieu of flowers donations are requested to the Marble Hill United Methodist Church. Visitation will be Sunday, February 7, 2016 from 4:00 to 8:00 PM at the Liley Funeral Home in Marble Hill, Missouri. Then on Monday, at the Marble Hill United Methodist Church from 10:00 AM until time of service. Funeral Services will be Monday, February 8, 2016 at 11:00 AM at the Marble Hill United Methodist Church with the Pastor Mike Hargraves officiating. Burial will follow in Bollinger County Memorial Park Cemetery near Marble Hill, Missouri.